Tomorrow is Fat Tuesday; the day before Ash Wednesday and the official start of the Lenten season. Our neighbors in Hamtramck are famous for their paczkis - those calorie laden Polish pastry treats that would certainly kill you if you ate them more than once a year. Of course, in Warrendale, we don't have to travel as far to get them. Chene Modern Bakery (17041 W. Warren Ave.) provides what is generally regarded as some of the best in the Detroit. Every year, for example, Congressman John D. Dingell has several hundred of them shipped to Washington, DC. The good folk at Chene Modern Bakery have paczkis available in a variety of filling flavors: apple, apricot, chocolate, custard, lemon, raspberry, and strawberry. 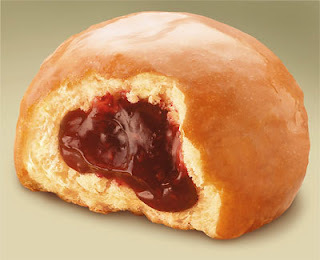 They also have an option for plain paczkis for people who are concerned about the calories and sugar. Chene Modern Bakery is open from 5 a.m. until 7 p.m. for all of bakery needs.